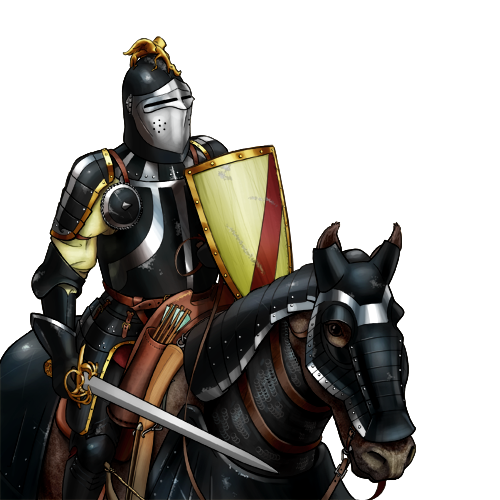 The more talented cavalrymen in the armies of Wesnoth are trained in the use of the crossbow, and matched with much more powerful steeds. Well-armored, and skilled in the use of their swords, these soldiers can drive forward and hold the ground they take. Their mobility and resilience make them of great value on the battlefield. Special Notes: This unit has a defense cap on certain terrain types — it cannot achieve a higher defense rating on mixed terrains with such terrain types.